One must remember his past to move forward with deep reason and purpose. One must not forget the walls of history that would remind us of our great life lived by our ancestors. He must know who he is and where he came from. History is not only found in books and pass on stories of our grandmothers. Our past is lived by square parks in front of big colonial churches, cobbled street with antique lamp post, line of ancestral houses occupied by descendants or at least preserved by present entity who appreciate not only the aesthetics of old colonial houses but also has respect to its soul and contribution to our glorious history. 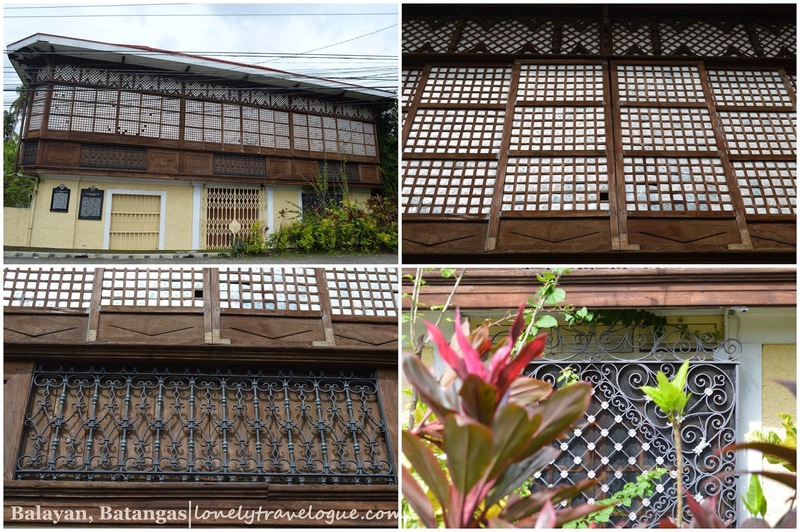 My love for old houses began when we visited some relatives in Mindanao who has a house that is made of big plank of narra wood. Then on I began embracing everything that is old and that will remind me of the great history of our beloved country. It does not only reminds me of history, it tells me that our civilization is artistic and ingenues when in comes to creating and adopting what is available to the present circumstances. Thus my advocacy to promote visiting to these marvelous treasure of ours - my feet has always brought me to the place where row of old houses are erected by our ancestors. 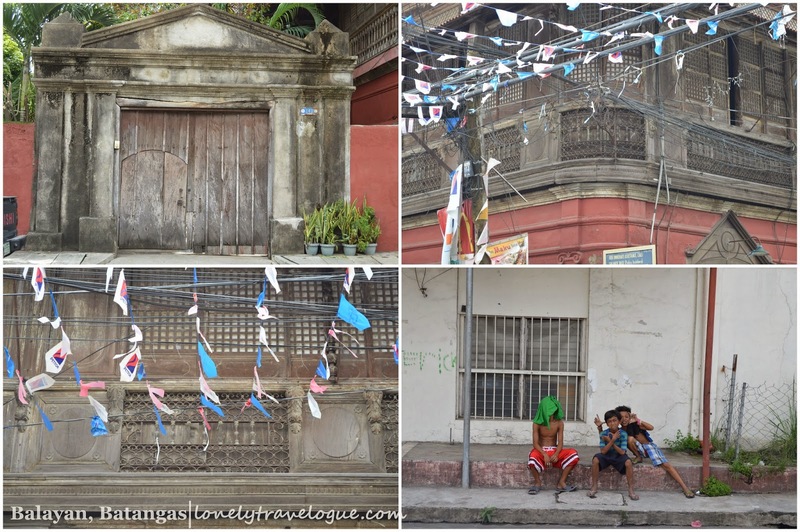 We visited Balayan, Batangas the once seat of power of the historic Batangas province. 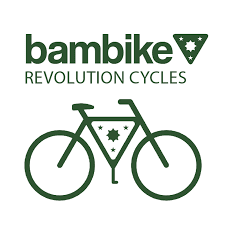 Balayan, Batangas was once the most prominent town in Bonbon which now comprises what is now, Laguna, Camarines, Maninduque, Mindoro and Batangas provinces and some says other parts of southern Metro Manila. 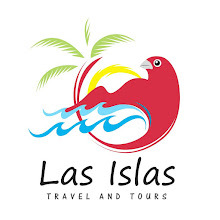 Before the Spaniards came, the Balayan already has a rich commerce because of its strategic location fronting the bay. No wonder the Spaniards made this town their settlement south of Metro Manila. 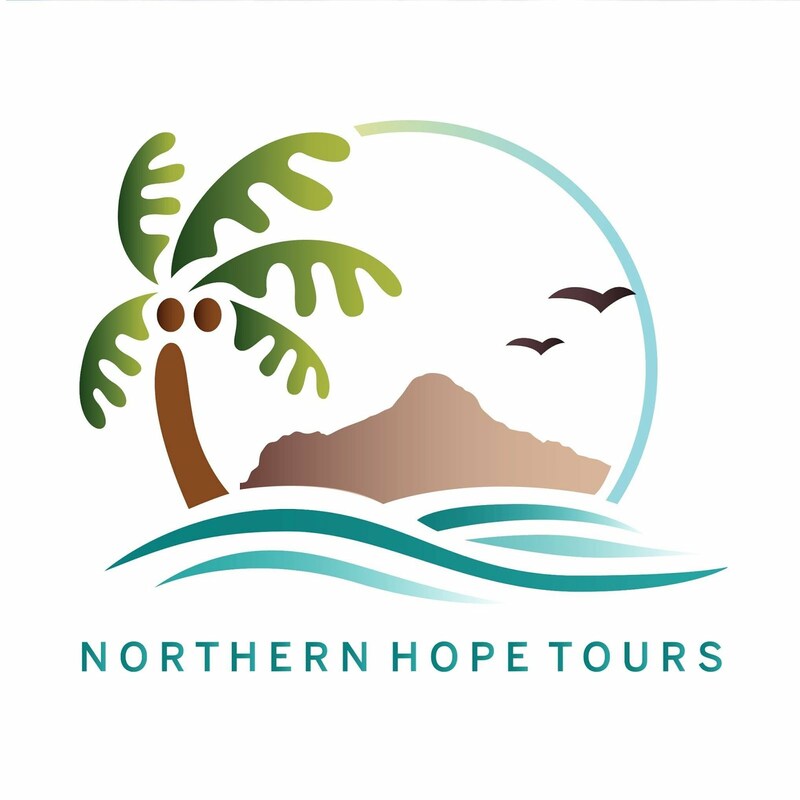 It recommended that whenever you do a walking tour in a colonial town like Balayan, you do start in the Church because it is the center of the town. From there you would see many interesting places that would definitely capture you. However we did not start on in the church because from where we came from, where we had our lunch, rows of old houses already captured my lens. You can (click here) view on my separate post the place where we had our lunch which is also an old house converted into an Italian restaurant. Balayan Church - There must be a law prohibiting vehicles from parking in front of the church and historical landmarks. 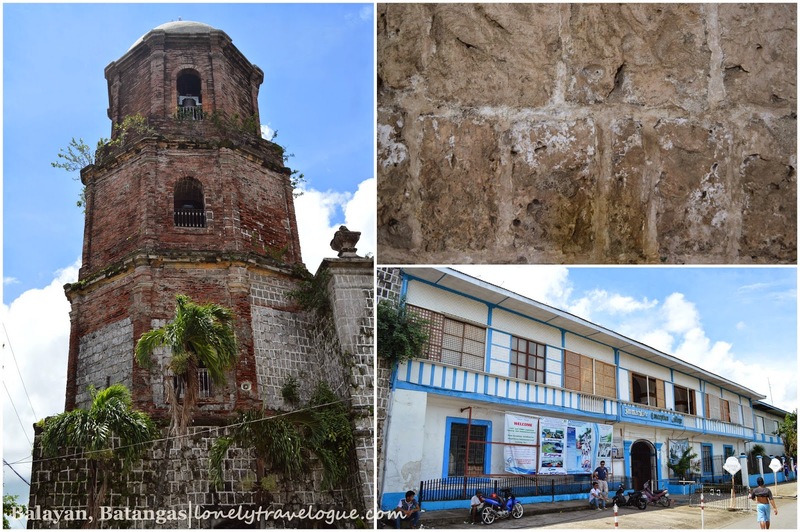 Balayan Church or Simbahan ng Balayan is National Historical Landmark and National Cultural Treasure. The law states that the government should protect it from possible damage or prevent any physical changes that could destroy its authenticity. The church is beautiful especially the bell tower. It has twigs and vines on it that gives it a cinematic effect. Whenever I see structures like this I feel like I'm back in times where our ancestors had fought for freedom against the Spaniards - that aside from Fernando Poe Jr.'s movie shoot in setting like this. However, we didn't went inside further the church because there was a mass for the dead. I don't believe in bad omen, if there is such for our case, but it feels awkward to take pictures or even to walk around while seeing a white casket in the altar. Beside the church is the 18th century convent that houses the nuns and an elementary school. 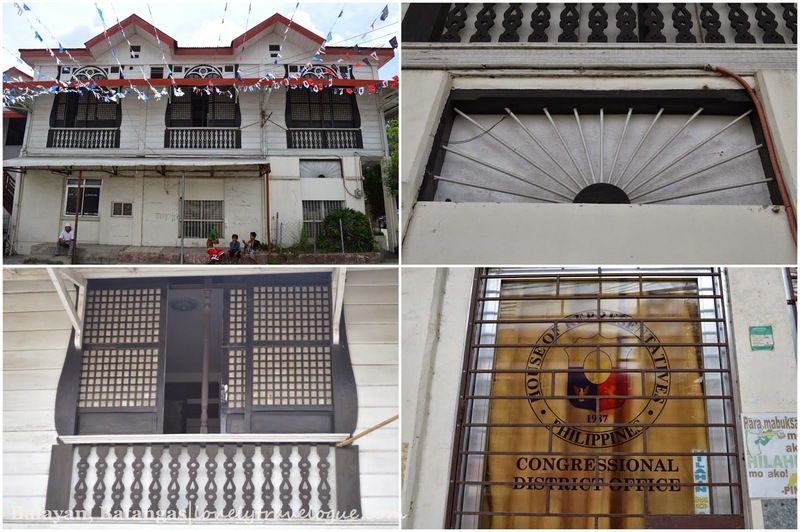 The convent was recently the subject of a big issue for the advocates of heritage conservation as against the clergy specifically the archdioceses of Lipa whom the Balayan belongs. 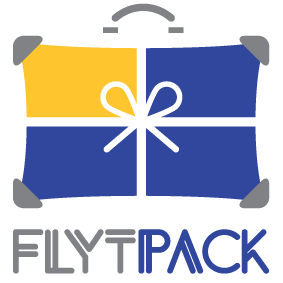 A grocery chain wanted to lease the ground floor of the convent to do their business their. It created a wave of opposition on the internet. Just last year the church drops their plan to lease the ground floor of the convent. If not for the opposition in change.org we see now a Savemore Store beside the historic Balayan church. It feels like it is a betrayal of the law and history whenever you put an establishment that could gravely cause damage to the view of a National Cultural Treasure. Take for example this McDonalds within the vicinity of the church. Actually its right beside the church. Imagine you are appreciating the church and then woh oh there's a McDonald there! It could have been better if they place it opposite of the church. That's the price you pay when you seems to always have a budget deficit on your public coffin. Or they really don't appreciate heritage. 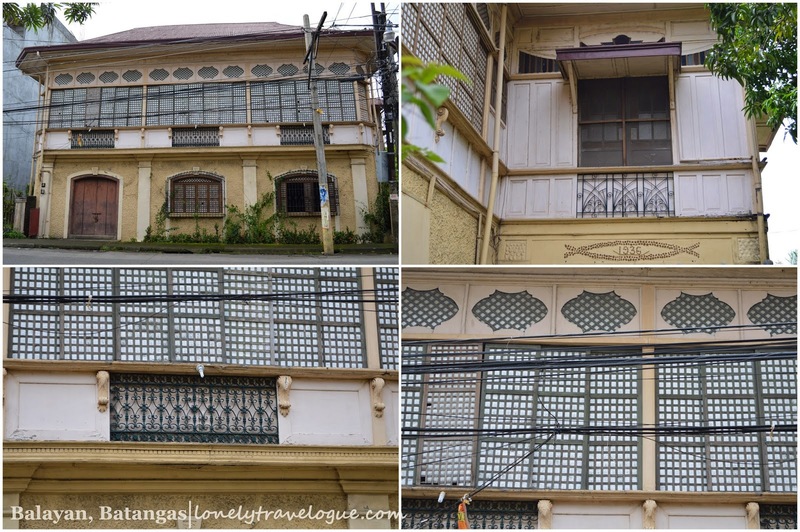 Like my visit in other heritage area I didn't had any specific house to visit in Balayan. 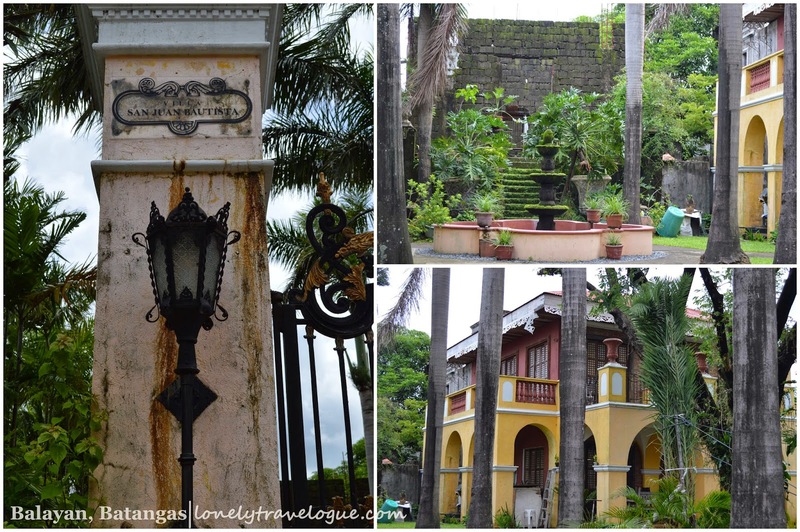 Leo Martinez's ancestral house and Calixto Lopez House might be an exemption, but I just wanted to stroll around and point my lenses to the beautifully and artistically build houses of the 18th century. Along Union street is this house which has rich design on its exterior. I am not an architect not interior designer but I do understand that having this kind of design then was considered lavish or the family has an affluent life. But the richness simulated by the designed faded as the century turn into modernity. Its in sad state. Over powered by the cable wires in front of it, the future of the house is dim by amnesiac mind of the authorities. Along Antorcha street is where the row of old houses can be seen. Most of them are converted into a commercial establishment. Thank God this houses are being utilized thus making efforts to keep them. Not all old houses are used and kept along Antorcha street but at least some did it already and others might as well follow it. If only the local government realize the potential of these row of houses as a possible cultural destination, more opportunities will come to the citizen of Balayan. 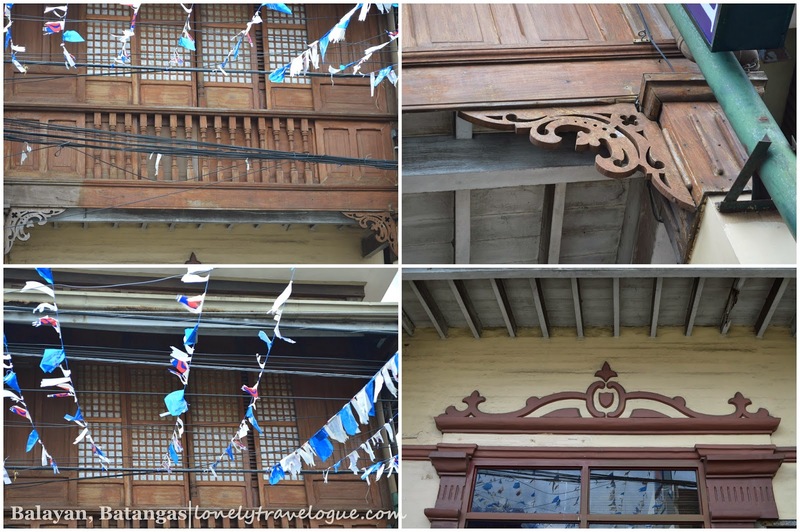 Along with Taal, Batangas which is not far away from Balayan - this two town could be Batangas Heritage Belt that will remind people of its past and appreciate how they lived then. Taal has done it and I guess they are reaping from it already (although there are still old houses in bad state) and I guess Balayan could do it too. The house is marveled by capis in big windows, extensive steel work design and detailed outer ceiling. The brown gold then, maybe, helped the illustrious family to build their beautiful house. Sadly I wasn't able to enter the house because there were no one accompanied us. 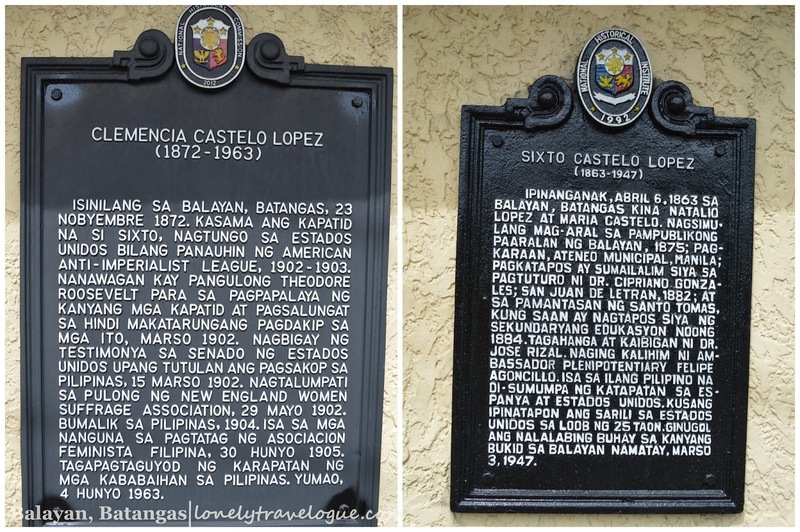 Not far from the Lopez House is the ancestral house of the actor/comedian Leo Martinez. I remember Don Robert belittling the family of Lurcing (Malou de Guzman) in the sitcom "Ober da Bakod" with Janno Gibbs, Donita Rose and many more. I vividly remember his Batangeno accent while doing his comedy on the said TV show. I wanted to enter but nobody entertained us even though we were buzzing the gate. 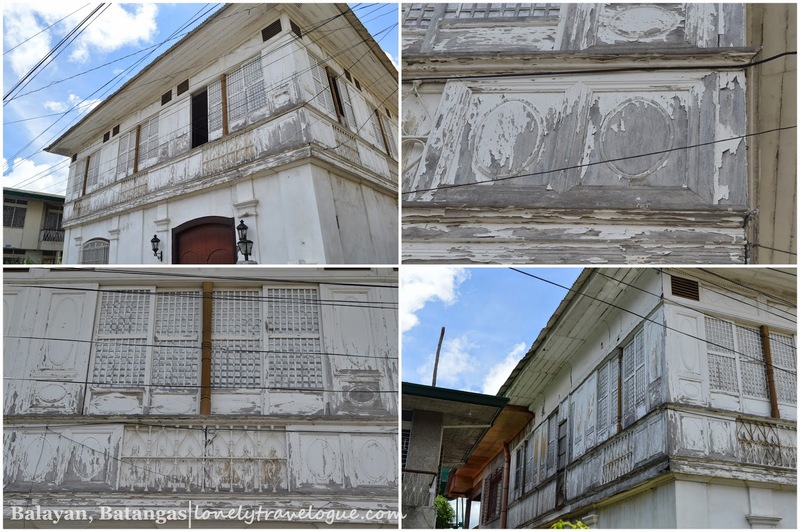 In front of the Leo Martinez's Ancestral House was this villa-like old house. I was awed when I saw this. I immediately imagined myself walking in this street with this house on its glory days. Would not it be a beautiful experience? I approached it and to my dismay I saw a junk shop on a suppose to be the back garage of the house. I smiled at the people inside and asked some curious question about the house. The 1942 (?) house is owned by a certain Solis-Martinez clan. 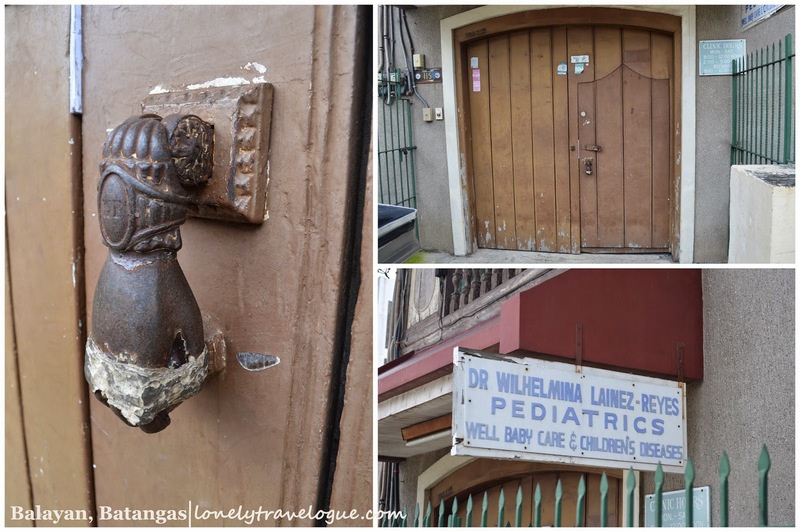 The family migrated to Manila just like any most families in the province to find better life. 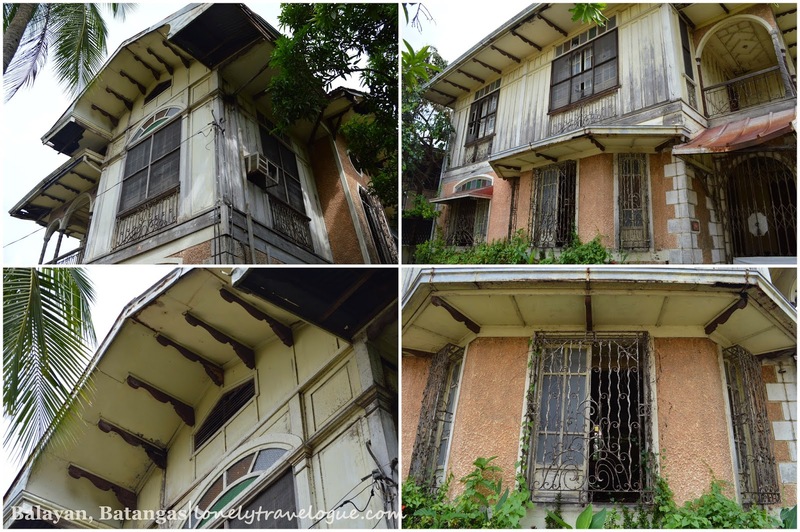 According the caretaker the descendants is selling the house for Php10M. Not sure if he's telling the truth because I think that's too much for this house. If I am not mistaken this house should be declared a heritage site as per the heritage law is concerned. Any structures build 50 years and up should be protected by the government. The owners has their prerogative if they want to sell the house. 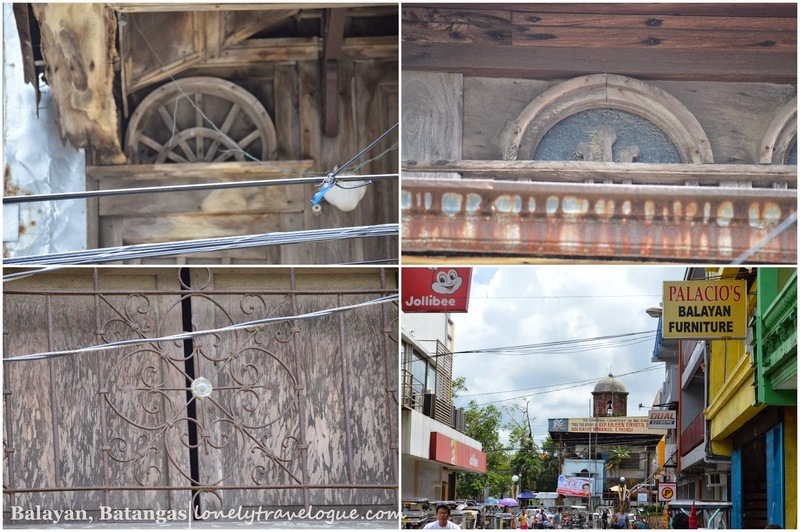 But would not it be nice if we see this house in its glory state functioning as a cafe or hotel or museum? I call on to the right institution to make the necessary move in order for us to preserve this house. This is not only for the Solis-Martinez house but to all the old houses not just in Balayan but all over the country. 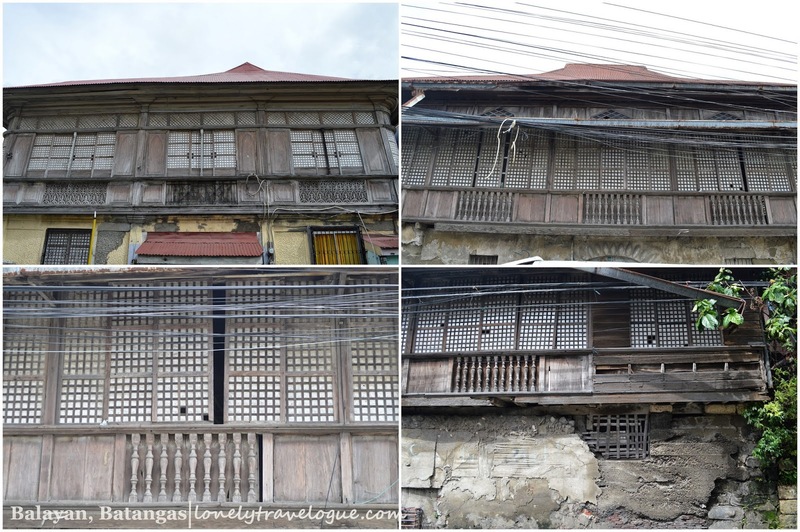 The government (LGU and the National Government) can use the PPP scheme to preserve this treasures. We owe this to the next generation. I want my sons, grandsons to see in their eyes how glorious and creative the life of the Filipinos. 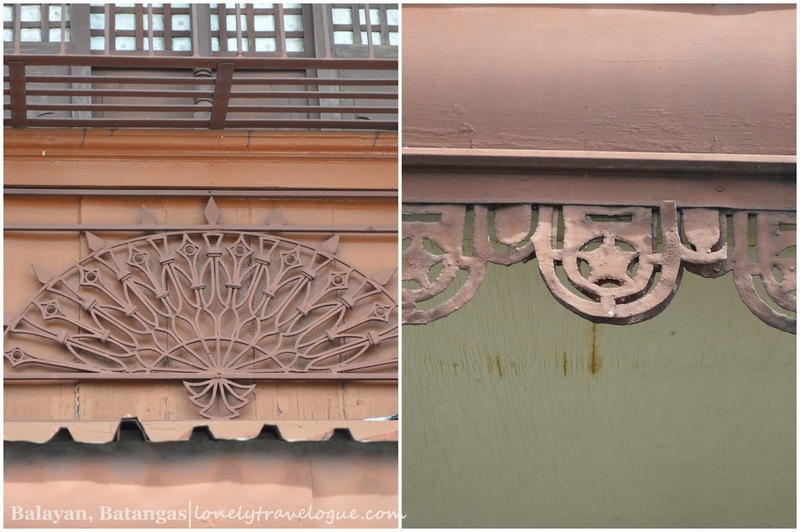 Its not just the aesthetics that I am talking about - its the history and the culture of the Filipino people.